Home> Resource> Android Backup> How to Manage Applications on Sony in Batches? You may download many apps like alarm clock, games, lyrics apps, photo editing app, call manager, etc on your device because these applications enable the users to make the full use of your mobile phone and also make your life colorful. But you may also know that the applications on your device will take much space and also it is not easy for you manage so many apps on smart phones. Suppose that you want need to buy a new Android phone but the apps on the old phone recorded a lot of information of yourself and it will be troublesome for you download many new apps on the new smart phone, so why not just transfer the apps from the old phone to the new one directly with the app manager? 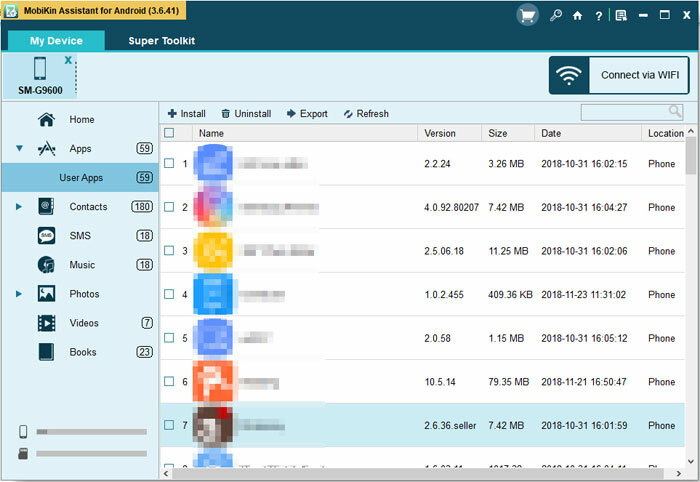 Or you may meet the situations that requires you to install or uninstall many apps, then you can get help from the app manager that make it rather simple to manage many applications at one batch. The app manager I mentioned above is the MobiKin Android App Manager (Windows/Mac) which is highly recommended by the users. 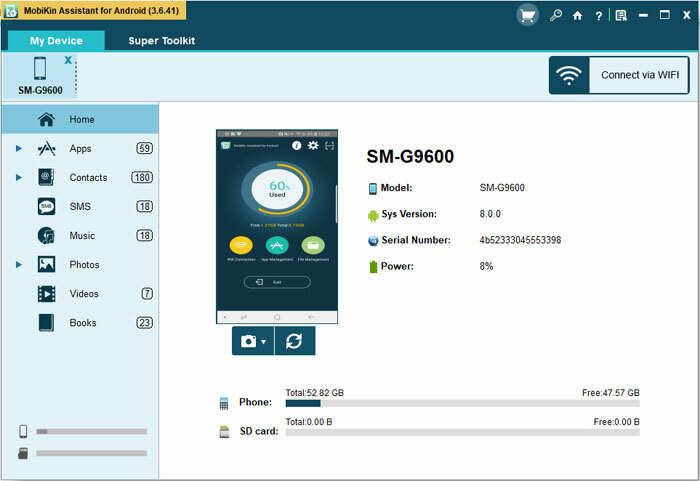 With powerful functions, the software can meet your many needs and solve many problems about Android phones. No matter you want to transfer various files between computer and Android or you are going to edit and back up the contacts on Mac, the software could be you best assistant. Here are the brief introductions of the software. 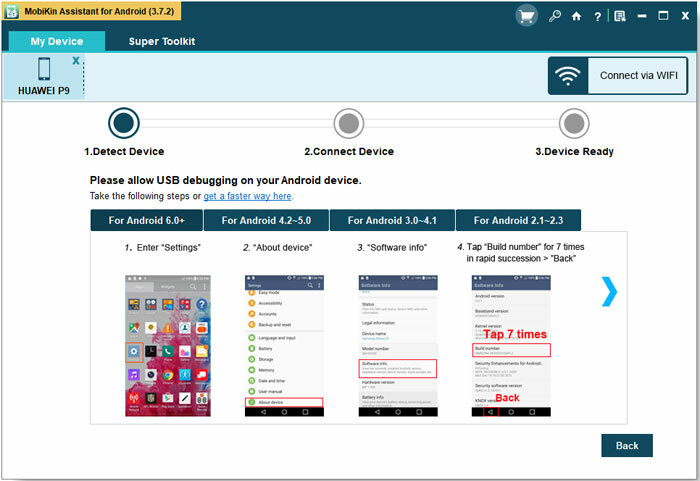 - The software can be compatible with almost all brands of Android phones including HTC, LG, Samsung, Sony, Motorola and so on. What's more, it can support different generations of Android operating system from Android 2.0 to Android 4.0. - The files it can manage include applications, contacts, SMS messages, books, videos, music and so on. - There are two versions available. One is the Windows version and the other one is Mac version. You can download the free trial version of the software on your Mac or Windows Computer. You can download and install the software on your computer and then start it. Connect the device to your computer and then the software will detect your device and you will see an interface like this, which means that you need to open the USB debugging. You can follow the steps below to open the USB debugging. After the USB debugging, the software will detect your device and you can see a window like this. The files will be displayed on the left panel as different categories. You can click on the Apps option on the left panel and then you will preview the applications that are installed on you device. Select the wanted apps on the right panel and then you can click on the buttons on the top panel to manage the apps. - Install: Add new apps to your device. - Export: Transfer marked apps to computer. - Uninstall: Delete the marked apps at one batch. You can know more about the software by downloading the free trial version of the software. Android File Transfer - How to Transfer Android Files to Computer? Want to Make A Backup of the Files from Your SD Card to the Computer?